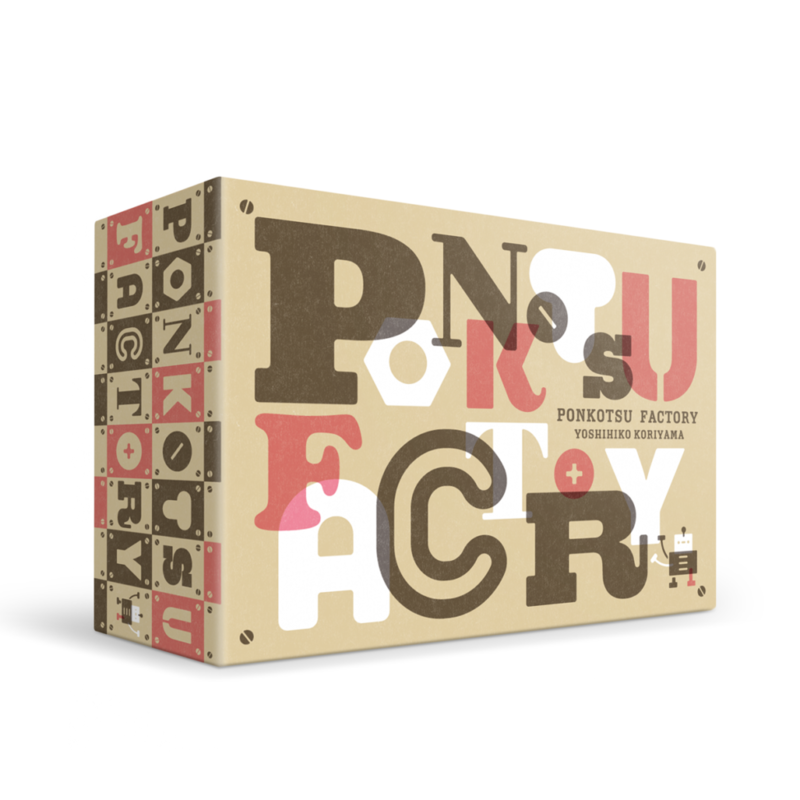 Ponkotsu factory is a remade English version of Kotobamodos, a game released by Ichinen ju MIRAI (Yoshihiko Kooriyama) in 2014. This is our first attempt to collaborate with an external creator on a game. For this game, we have been in charge of mainly the design and production direction. Broken words are brought to the factory every day. Can you combine these letters and repair those words? The game is composed of two phases: creating “Questions” and solving “Questions”. 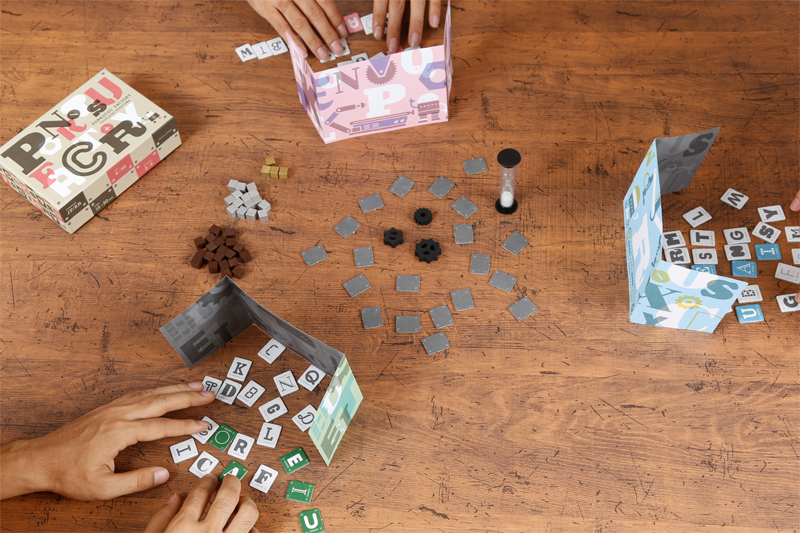 In creating phase, players construct three four-letter words using 12 letter tiles, then mix them thoroughly. In solving phase, players rebuild three four-letter words created by other players. Quickness and correctness are the key to the victory! We provide the rulebook here for reference. 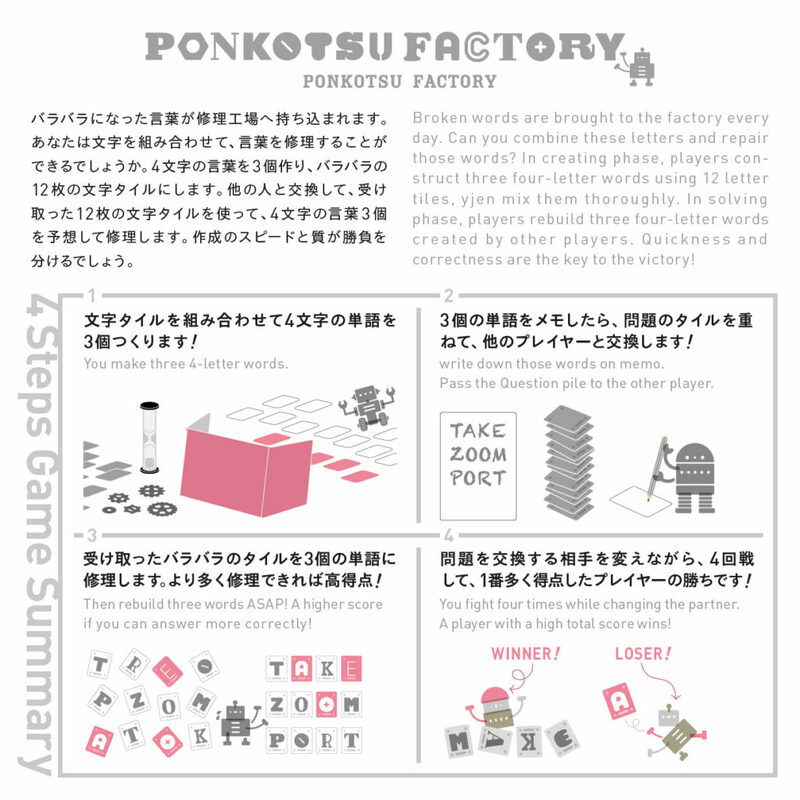 Below is a 4 steps game summary.